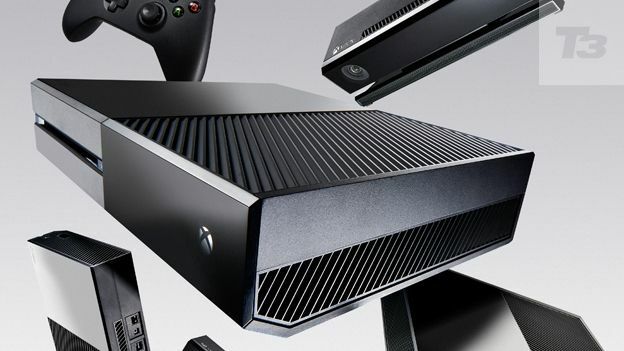 The Xbox One should never have come with Kinect in the first place. There, I've said it. We were all thinking it but now I've actually said it. Taking that into account, surely that means I'm happy now Microsoft has ditched its lead brick of a webcam? Sadly not, I'm livid. Now it's very easy to use the 'hindsight' argument but in this case Microsoft only has itself to blame. The original Kinect was innovative, expensive and deeply flawed, which is why it was an opt-in product. It required people to talk to an inanimate object, something which is arguably still deeply embarrassing to do in anything other than your own company. With this in mind it was with mild to indifferent puzzlement that I saw Microsoft announce Kinect as a requirement for Xbox One. Move on to Christmas and like any keen gamer I bought the Xbox One for full retail price, since then Microsoft has dished out a few minor shin kicks, the first being the Titanfall + Xbox One price drop which punished me by £100 for not waiting. The second being the increasing talk about power. Now I couldn't care less about the resolution issues, upscaling means it's almost indistinguishable. Instead what I care about is frame rates: It's the reason PC gamers are so unutterably smug and it's why Assassin's Creed: Revelations was almost unplayable on Xbox 360. As such I've been understandably hoping that the Xbox One would one day be able to offer the magic 60fps. With that in mind you'd think the Xbox One was using every last drop of power to make sure your games ran at their absolute best? Well you'd be wrong, and the cause is Kinect. Because it's essentially running all the time it has been given a dedicated share of the processing power, the reasoning being so that when you scream expletives at the screen NBA 2K14 will know to tell you off. The problem is that just weeks after announcing the Xbox One wouldn't work without Kinect, they then promptly announced that this was complete rubbish. So what's happened to that spare processing power? Well at the moment I can only assume it's quietly sat in a café somewhere working its way through the world's largest crossword. And therein lies the issue, they made a mistake, a massive one. The evolution of any technology is about moving forward, because that way you know that if you do make a mistake at least the console worked just fine before. There was no Xbox One without Kinect at the start, it was built FOR Kinect, it was compromised to include Kinect. So what does this mean for the future? Well for starters you can say goodbye to any AAA game that features Kinect. It was an afterthought for the 360, an annoyance when the Xbox One launched and will almost certainly become invisible now it's not required. Developers are already spending millions just making the games, they don't want to waste precious time and resources on a something that's as big as Kinect when there's no guarantee anyone will use it. Next up there's a slither of good news - Microsoft has already said it's in talks with publishers about using that extra power now Kinect isn't using it. This won't happen overnight though, so when you buy your Kinect-less Xbox, that extra power will still be in a café somewhere. Which leads us onto the next point, your Kinect-less Xbox One will now cost the same as a PS4 (£349). Having initially started at £80 dearer Microsoft has seen the adoption rates and is ready to accept that 'premium' or not, in the consumers eyes, it's on par with the PS4. Finally Microsoft will have to revamp the UI, it was built for motion and voice and it shows, a more controller-friendly UI will mean it's easier to get around. It'd be easier to forgive them if Microsoft hadn't just tried to fix making the exact same mistake with Windows 8. Originally designed with touch screens in mind it became clear to Microsoft that actually we still like our keyboards and mice. It then issued a get out of jail card in the form of Windows 8.1, bringing back the desktop and allowing full control of the interface using a mice and keyboard. It's almost as if the Xbox team looked on at the debacle and just went 'yeah but that won't happen to us'. It has, and they should have seen it coming.